With wide, pillow-shaped arms, ample padding, and a supportive channeled back, Delia is designed for you and your family to pile on and sink in. Heavy-thread stitching in a contrasting color enhances the contours of this form. 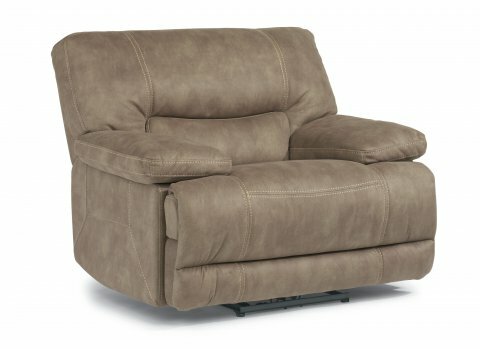 A power reclining mechanism lets you change angles effortlessly from an upright to a fully reclined position with the touch of a button.